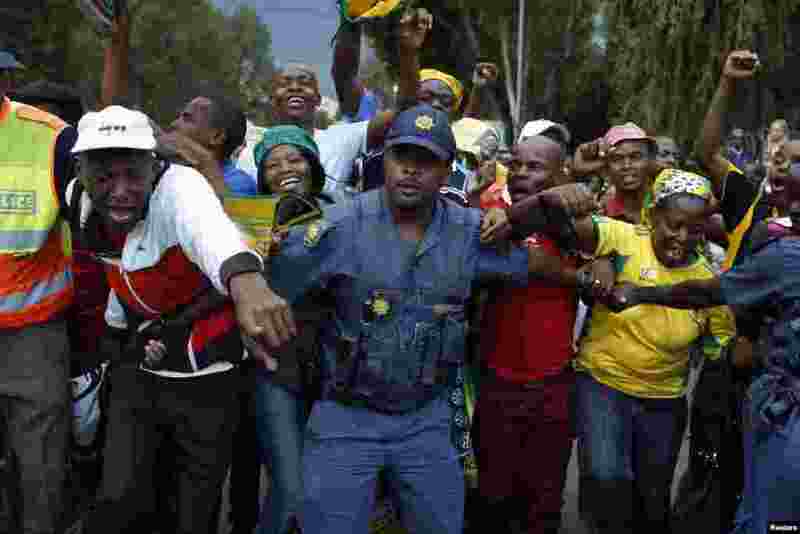 5 Mourners gather behind police cordons after being denied entry to the site where former South African President Nelson Mandela was lying in state in Pretoria. 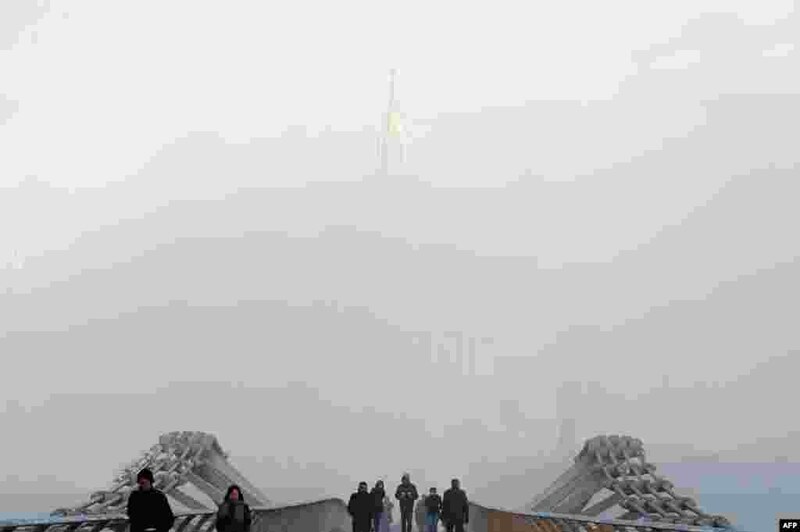 6 Pedestrians cross the Millennium Footbridge in front of London's St. Paul's Cathedral, shrouded in fog. 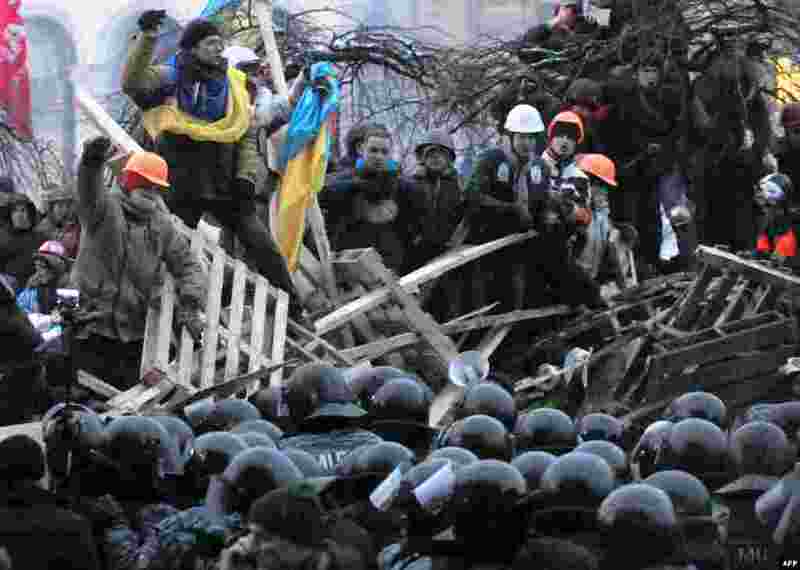 7 Anti-Yanukovych protesters defend their barricades against riot police on Independence Square in Kyiv, Ukraine. 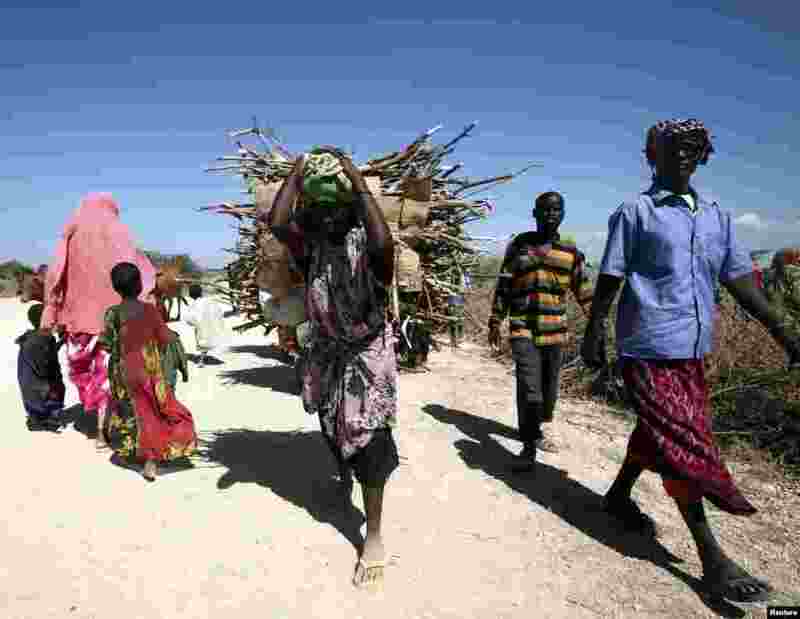 8 A woman carries bundles of firewood on her back to be delivered for use as fuel for cooking for people displaced as a result of flooding in areas around the town of Jowhar, north of Somalia's capital Mogadishu, Dec. 10, 2013.